On this page, you will find some inspirational images and posting that I have shared through other media and would like to make available to those who are visiting the site. I hope you enjoy them and find them helpful! Here we are, God - a planet at prayer. to make heard in every heart your hymn of peace. Here we are, God - a militarized planet. missiles into messengers of peace. Here we are, God - a polluted planet. waters, de-smog our life-giving air. Here we are, God - an exploited planet. If you do good things because you feel you have to or will be punished if you don’t, then from the point of view of our spiritual growth, what is the value of doing those good things? Things must be done because they are right, not because you are afraid. It is your intent that infuses what you do. It is your intent which is measured and evaluated when it comes time for you to look at your life from the Spirit realm and judge your progress. So even though you may have a lifetime of apparently good deeds, you may not reap the benefits of those deeds, if they were done through greed, or fear, or the need for power or control. 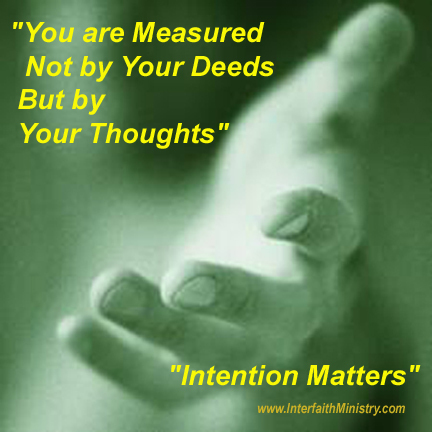 It is your intent which matters. "There is a Zen saying that "Absolute Attention is Prayer." 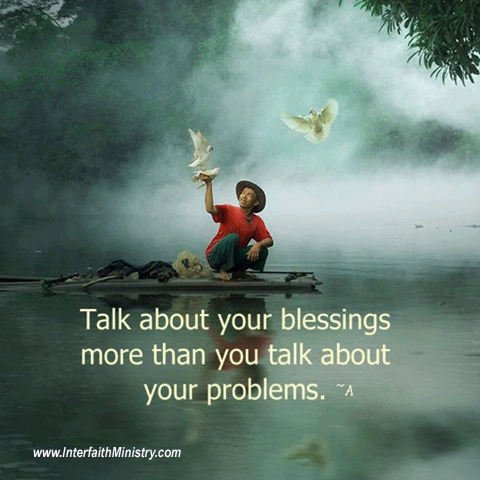 Be conscious of your thoughts and be present in the moment. we can be proud of which reject fears and embraces peace.